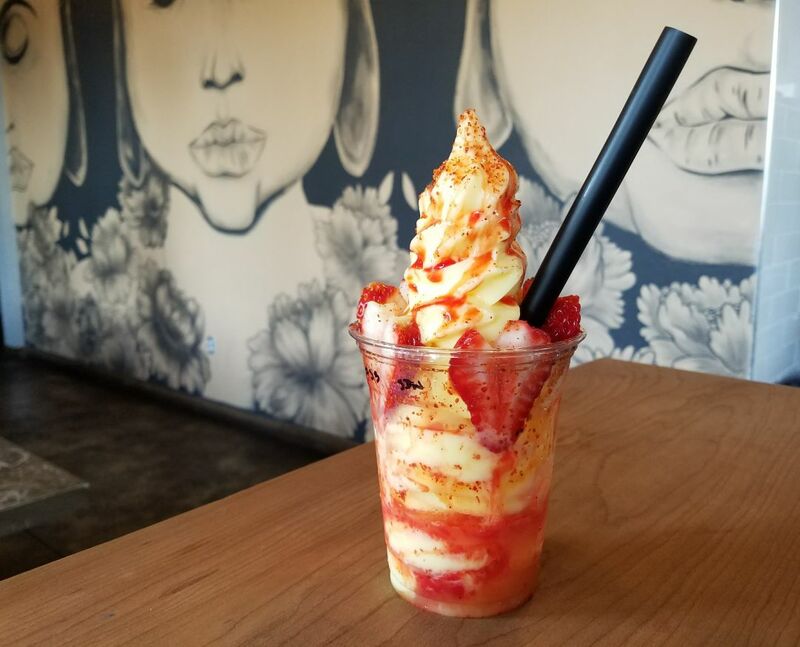 Zero Degrees's spicy-sweet Dole Whip float. 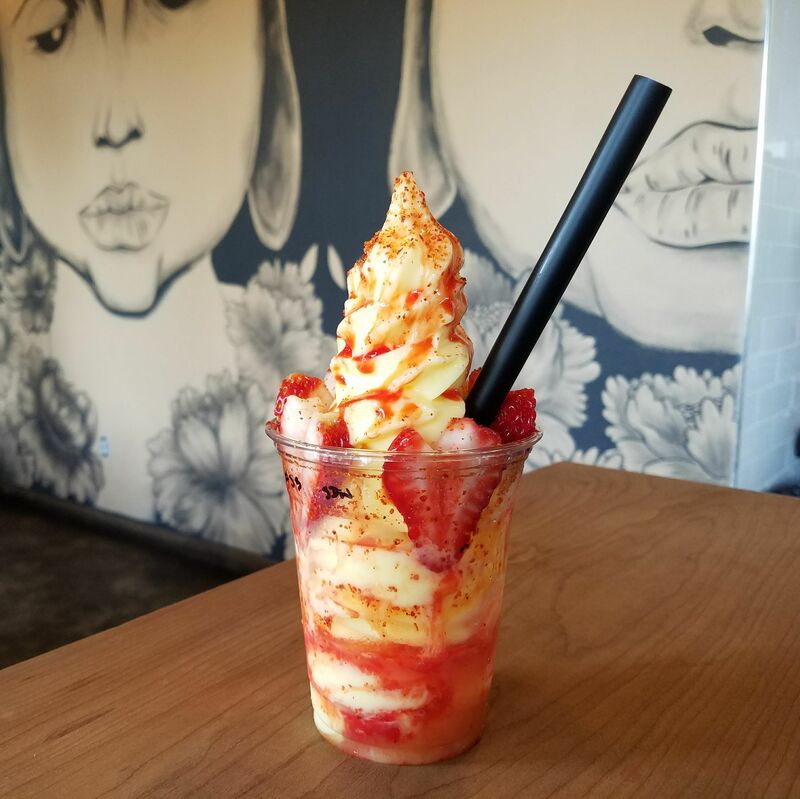 Zero Degrees, home of chamoy-drizzled Dole whips, split-cup boba teas, and the "chicken cone," is a weird, wonderful animal that’s anathema to our Stumptown DNA: It’s an out-of-town chain worth visiting. 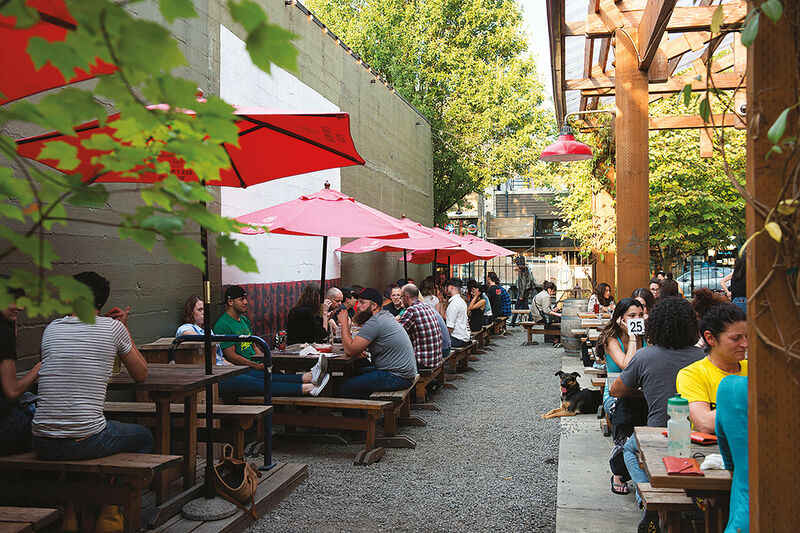 Portlanders tend to give the side-eye to much of anything beyond chef-owned farm-to-table kitchens and locally grown fast food chainlets. But on any given day, you can watch the TriMet bus stop in front this Anaheim-born chain’s SE 82nd Avenue outpost and disgorge what looks to be the half of the city under the age of 30. They’re all filing in to Zero Degrees to get their sweet, icy fix. At any given time, there's a diverse crowd of PCC students, families, east side high schoolers, boba seekers, and ice cream fiends packing in at the cafe’s pre-graffitied tables. * People know a good, giddy-making thing when they taste it. Besides avocados and Damian Lillard, Zero Degrees might be the only thing from California even a Portland partisan would admit to liking. 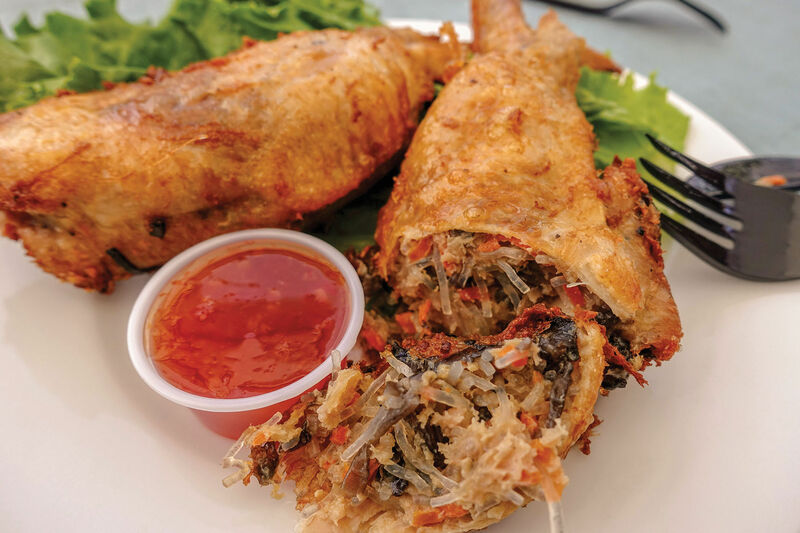 The “Mexican-Hispanic fusion cafe” has 26 franchised outposts and counting across California, Texas, Arizona, and Florida. The whole vibe is a bit "mall food court with a fresh fruit fixation went on a globe-trotting spring break bender and came back dessert-drunk, covered in Hot Cheeto dust and boba pearls." Nothing new, perhaps, in L.A., but a welcome addition for Portland. 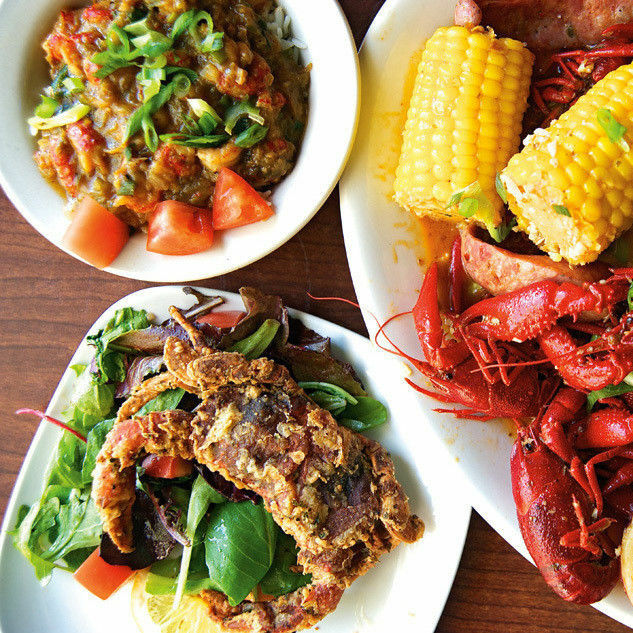 The chain opened a teeny shop in Beaverton in early 2017, then followed up last fall with a more spacious spot in 82nd’s most wondrous of strip malls—the Harrison Street complex also home to Teo, Good Taste, and My Brother’s Crawfish. 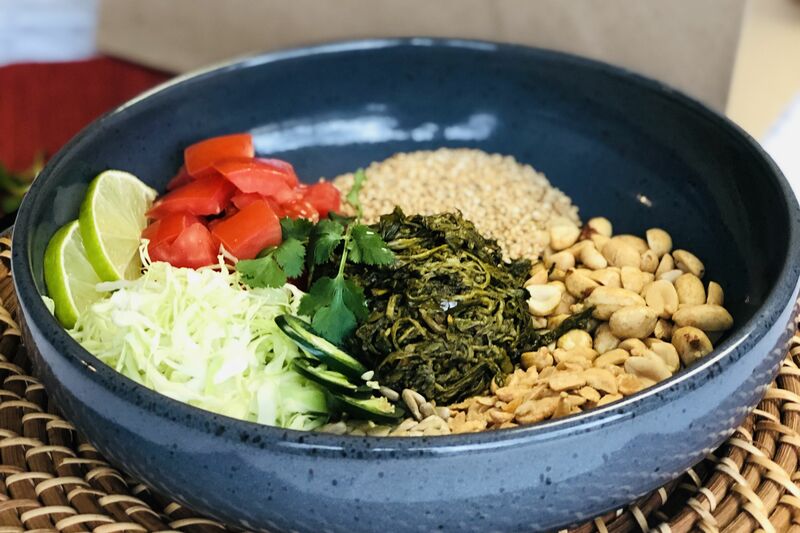 It plans to debut a Washington Square mall cafe in July. 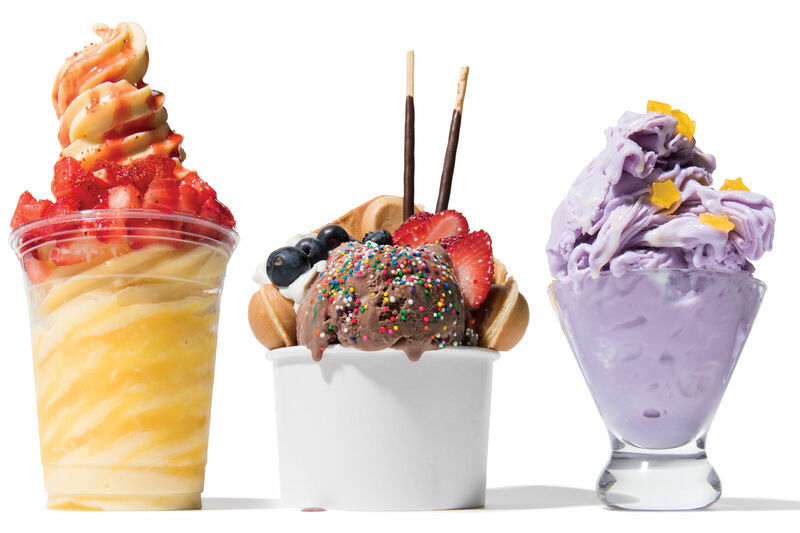 Zero’s cold, sweet stuff is really where it's at: baroque, icy creations topped with a carnival of fruit, candy, and crumbles that taste surprisingly fresh and real. Need coffee? No prob, they serve it jet black, poured over a nearly foot-tall swirl of vanilla soft serve, sprinkled with Oreo crumbs, and adorned with a torched-to-order marshmallow as big as your fist. Need fruit? Expect it blended with ice—mango to watermelon or lychee—tricked out with a giant fan of mango slices and often zhushed with Mexican Tajin chile salt. Sugary milk teas abound; they even mash up horchata and matcha for silky, smoky-sweet jade-colored quencher. You can upgrade drinks with boba, crystal boba, or coconut lychee, or have ‘em poured into a 16-ounce glass milk bottle. Can’t make up your mind on which drink you even want? Enter the “Split Cup,” a vessel with a molded yin-yang divider that enables you to order two different drinks and slurp them in the same cup. And then there are the sundaes and milkshakes. What looks like a violet My Little Pony nightmare but tastes like earthy, buttery kettle corn buzzed to a crystalline froth? If you guessed an ube (aka purple yam) milkshake, congratulations—you’re on trend. Zero twists this staple flavor of Filipino desserts into a giddy purple slurry crowned with clouds of whipped cream, sour gummy candy, torched marshmallow, and an actual rainbow. Yes, it is all just TOO MUCH. And that’s the point. My personal fave is a callback to Disneyland’s finest frozen treat: the Dole Whip—that coveted pineapple-coconut soft serve once only sold right outside the Tiki Room. Today, it’s available across the nation, but the quirky chain improves on its perfection by splicing in the DNA of an L.A. fruit cart and adding a deluge of pineapple juice. All hail this tower of pineapple power, its über-dense peaks adorned with strawberries, pickled fruity chamoy sauce, and flecks of Tajin. Spoon in from the top for a wild, savory-sweet mouthful; get a tart, juicy slurp when sucked up though the tamarind straw (of course it’s got a tamarind straw). Also, it’s vegan, which, perhaps, means it’s secretly from Portland after all. A black waffle cone loaded with popcorn chicken at Zero Degrees. The savory side of the menu is less satisfying, ping-ponging from Cajun and truffle fries to leaden “chilotes” bowls loaded with packing peanut-textured chicharones and what could generously be termed elotes (aka canned corn nubbins) showered in cheese, mayo, and Cheeto dust. 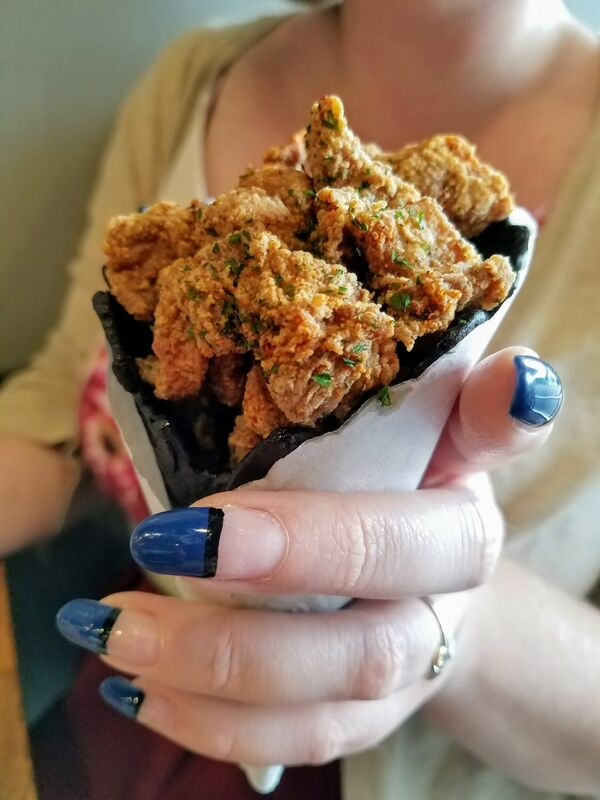 Better, by far, is the chicken cone: popcorn chicken loaded into a tall waffle cone tinted gimmicky black with activated charcoal. (That chicken is genuinely good, juicy and salt-and-peppery sharp, while the waffle cone tastes like a super-sized fortune cookie.) Still, it’s summer—if you’re not ordering something made in a blender, you’re not doing it right. “This place is all I’ve ever wanted in life,” whispers one friend, who, granted, is prone to wearing hot dog-print ModCloth dresses and owns a pool floaty shaped like a giant soft pretzel. But I see where she’s coming from. This place is an unabashed globally influenced celebration of over-the-topness. This place saw Spinal Tap’s “Up To Eleven” scene as an impressionable youth and took it as spiritual truth. It screens RuPaul's Drag Race for food-styling tips. It’s fun, and goofy, and more often than not, tastes better than you expect it to. This summer, the sweetest thing in town is not taking anything too seriously. *Yelp is rife with horror stories of marathon waits for drinks and milkshakes due to the high volume of customers. 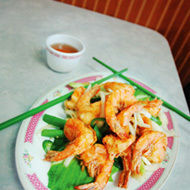 According to a manager at the 82nd Avenue location, busy times tend to be 1:30–6 p.m. on weekdays and steady crowds on weekends with around a 20– to 40–minute wait.